​Over the last two decades, I have had the opportunity to author several books and more than eighty articles. Nearly all of them are listed below and most have active links to the respective work online. In some cases, I have deleted works here or indicated Removed from Circulation after the entry. This takes place when I have decided I'm not particularly satisfied with a piece of writing, and I make the decision to either shelve the idea entirely--e.g. "Restless Auditor" collection--or undertake a revision. After my June 2018 graduation from Marylhurst University, I've returned my focus to writing and editing my fiction, but I'll likely still be doing essays from time to time. To this end, I have created a new collection of short stories--containing some pieces that were previously published under Alcatraz Burning. The new version contains better polished prose with a number of plot revisions. As I'm particularly fond of science fiction, I focused on the creation of a series of short stories that, while standing alone as narratives, also work well in a together. For instance, the first short story will introduce the dimensional drive used to power the ships, and the consequences of this will be expanded upon in the second tale. All in all, the new collection features several entirely new short stories, which have never been previously published, and it will span half a dozen different genres. 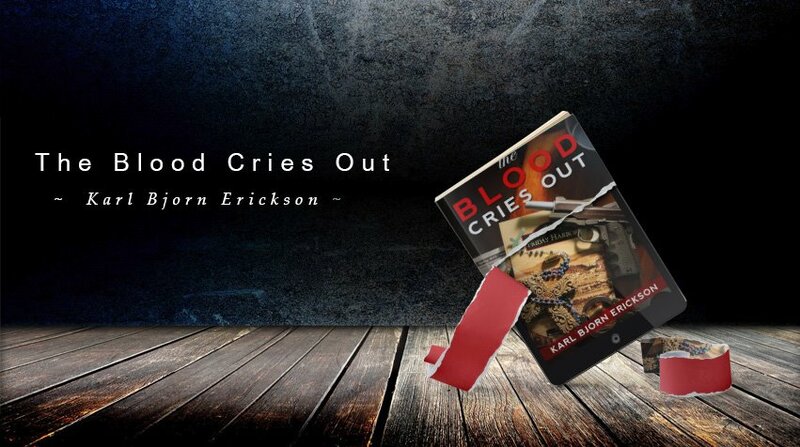 In addition to the short story collection, revisions to The Blood Cries Out are also in-progress. While mostly editorial in nature, they remain potentially significant in the life of this novel. In February of 2019, after disappointing sales of my latest short story collection, I decided to permanently remove it from Amazon. It is still available (directly below) as a PDF. I do hope you can check it out! The Taxing News, a monthly newsletter of the Oregon Employment Department's Tax Division. "This Present Darkness: Six Lessons," Catholic365, February 2019. "Atticus Finch's Identity Crisis," Senior Thesis for Marylhurst University, April 2018. "Untangling the Root Causes Beneath the School Shootings," Catholic365, March 2018. "The Instructive Self-Destruction of Harvey Weinstein," Catholic365, October 2017. "White Privilege and the Problem with Secular Penance," Catholic365, August 2017. "Facing the Truth About Facebook," Oregon Catholics (a private Facebook group), September 2016 and Catholic365, October 2016. "Chivalry in These Modern Days," Catholic365, July 2016. "A Blue Mountain Adventure Awaits," Travel Oregon, April 2016. "Returning to College? 5 Things You Should Consider," Marylhurst University's Blog, March 2016. "What Did Mary Know?" Catholic365.com, December 2015. "The Lie of White Privilege," Catholic 365.com, November 2015. "A Love Affair with Moloch," Catholic365.com, September 2015. "Marriage: It's for Life," Catholic365.com, July 2015. "It's in the Stars?" Catholic365.com, July 2015. "Forgotten Mass Etiquette," Catholic365.com, June 2015. "Reclaiming True Diversity," Catholic365.com, April 2015. "Time to Boycott Groupon?" Catholic365.com, March 2015. "Make Time for Saint Vincent," Catholic365.com, March 2015. "Moral Relativism and Wild: From Lost to Found on the Pacific Crest Trail..." Catholic365.com, January 2015. "It's Not Stealing...if You Need it?" Catholic365.com, January 2015. "Are There Animals in Heaven?" Catholic365.com, December 2014. "Living in the Present," Catholic365.com, December 2014. "Is Suicide Murder?" Catholic365.com, December 2014. "Parting the Veil of Eternity," Catholic365.com, November 2014. "Reflecting on the Nature of God," Catholic365.com, November 2014. "Is Technology Making Us Rude?" Catholic365.com, November 2014. "An Interview with Kimberly Erickson," Catholic365.com, October 2014. "Just a Stay at Home Mom," Catholic365.com, September 2014. "Some Food for Thought on Gay Marriage," Catholic365.com. September 2014. "Reflections Upon Laughter," Catholic365.com, September 2014. "Caring for Creation," Catholic365.com, August 2014. "A Call for Unity," Catholic365.com, August 2014. "Stances of Grace," Catholic365.com, August 2014. "A Breath of Fresh Air," Catholic365.com, August 2014. "Cost of Discipleship," Catholic365.com, August 2014. "Injured and Alone," Catholic365.com, August 2014. "Closer than a Brother," Catholic365.com, August 2014. "Fleeing Sin," Catholic365.com, August 2014. "Shared Accountability and Militant Atheism," Catholic365.com, August 2014. "Be Not Afraid," Catholic365.com, July 2014. "The Connection Illusion," Catholic365.com, July 2014. "Is Anything Sacred?" Catholic365.com, July 2014. "Why Does God Allow Suffering?" Catholic365.com, July 2014. "Is Worrying a Sin?" Catholic365.com, July 2014. The Blood Cries Out, Light Switch Press, July 2014. Oregon, My Oregon, A Photographic Journey (Mt. Jefferson Wilderness), Amazon, September 2013. Oregon, My Oregon, A Photographic Journey (The Wallowas), Amazon, July 2013. "Electronic Mail 101, Back to the Basics," International Association of Workforce Professionals' Oregonizer, May 2012. "Adaptive Communication Strategies for State Government," Learning and Development Quarterly, Oregon State Employment Department, March 2012. "10-hour workday would do more harm than good," Statesman Journal, April 3, 2011. "Beginning at the Middle," Savvy Authors, January 13, 2011. "Caring for Creation," Catholicmom.com, December 2010. "Overcoming Fear with Love," Catholicmom.com, April 2010. "Breath of Life" was available through Churchmouse Publications LLC. "Stars Within the Glass," Catholic Blog Fiction. April 2009. "Tearing Down the Shack," TiberRiver.com Catholic Book Reviews. April 2009. "A Thirst for Reverence," Catholic Answers' This Rock, January 2007. "This One Feels Like a Lose-Lose," The Portland Tribune, October 19, 2006. "Mysterious Tools," America, The National Catholic Weekly," July 3-10, 2006. "A Week at Whidbey Island Shows Changes, Eternal Truths," Oregon's Episcopal Church News, April 2003. "Art and the Christian Gospel," Seattle Pacific University's Response, Summer 2002.